Last updated 19 November 2018 . By Ed Christmas. 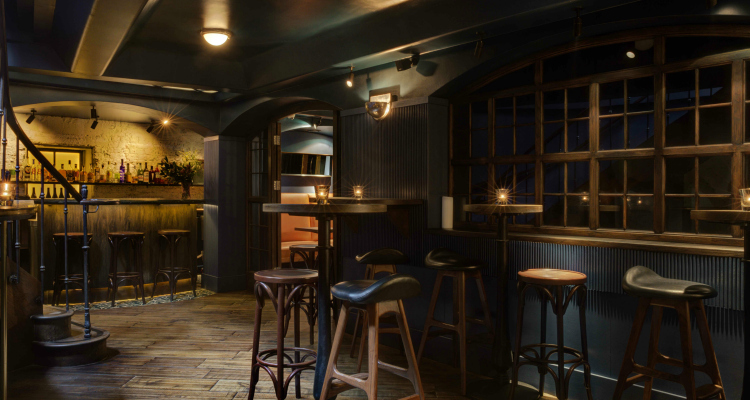 Situated below their Brushfield Street sister venue, Blixen, Bar Three is a quiet and sophisticated watering hole away from the outside world. A form of escape, if you will, they serve up cocktails that can make you feel like you’re drinking something as light as a feather, or as substantial as a morning-after fry-up. Walking down the staircase I couldn’t miss the bar, a great backdrop of rustic white brick, accompanied by bar stools for those looking to get a close-up on how their favourite cocktail is made. Taking a further look around, I noticed that the bar takes the ‘less is more’ approach, nailing it perfectly. The low music, soft lighting and simple block colours leave you mesmerised by your surroundings - a welcome break from the busy streets that you’ve just left behind. In one corner, you have a small L-shaped sofa, perfect for sipping on cocktails with your other half, engrossed in your conversation and letting time pass you by. Another corner hosts a larger area for you and several friends if you are looking for something a little more classy, special and intimate. 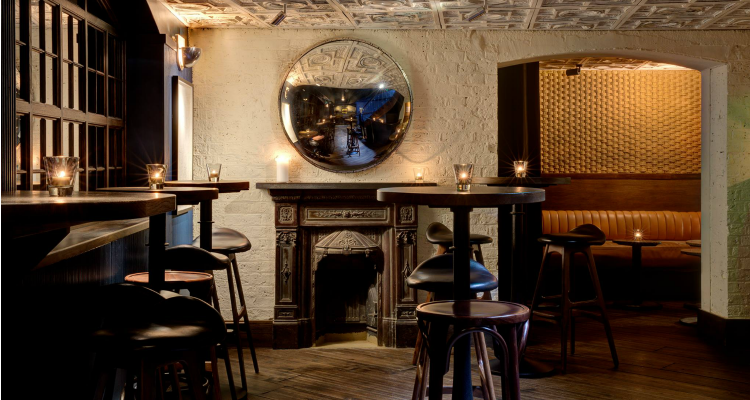 Slick and relaxed interiors make Bar Three a perfect escape from bustling Spitalfields streets. Once shown our seats, we became engrossed in the cocktail menu. Separating each cocktail into ‘Light’, ‘Medium’ and ‘Full’, Bar Three's drinks list is here to satisfy whichever craving you have. To start we had the French 75 (£9.50) from the ‘Light’ section, served in a Champagne flute with a taste not dissimilar to the fizzy stuff. It was smooth and sweet, but avoided the sugariness of Woo Woo territory - much to the dismay of many lovers of the Pornstar Martini, I’m sure. Another cocktail worthy of a mention is the Tequila Highball (£9.50), from the ‘Medium’ section of cocktails. While not one for those who cringe at the thought of tequila, its mix of green tea, Ocho Blanco, honey and soda gives it a humble, refreshing and almost revitalising taste that made it a firm favourite of ours. Whether it's mates, dates or colleagues, the seating area offers a spot for every get-together. In between the couples getting cosy on the nearby sofas, it was time for the two single people in the room to indulge in another cocktail. We decided to mix it up, asking for the bartender's favourite cocktail. Within seconds he came back with the Peach (£9.50). 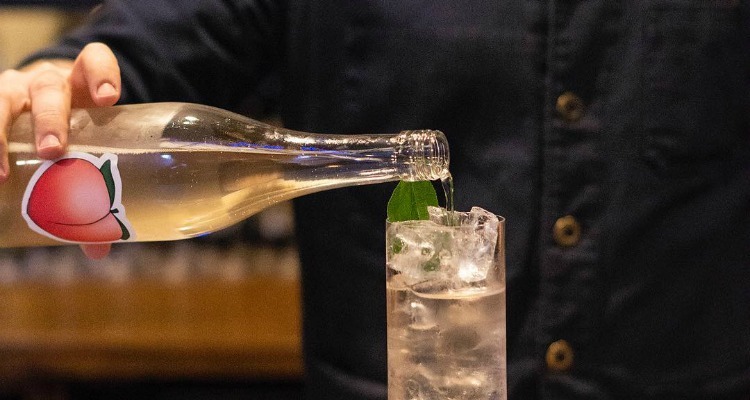 Found in the ‘Light’ section, the soju-based cocktail features fermented peach wine which gives the drink a strong flavour, but in reality it's as easy to drink as air. To finish up, I ordered a margarita. Though not an item found on the menu, I'm an upholder of the not-so-common belief that you can suss out the cocktail prowess of a place by how they mix their margs. I must say, Bar Three knock it out of the park with the bartender even finding time to throw in a trickle of salt down the side for that extra flash of finesse. Dealer's Choice: the soju-based Peach is a house favourite. I know what you’re thinking: Can a single duo enjoy such an intimate cocktail bar when surrounded by couples? The answer is yes. Bar Three is more than just another date night spot, its first class service and stunning cocktails make a dreamy accompaniment to any night out with friends, and its relaxed atmosphere offers the perfect location for a post-dinner drink when you're not quite ready to head home yet.